Mathew Joseph did not hit upon the idea of selling fish online at the spur of the moment. It was a carefully thought out strategy to escape competition. 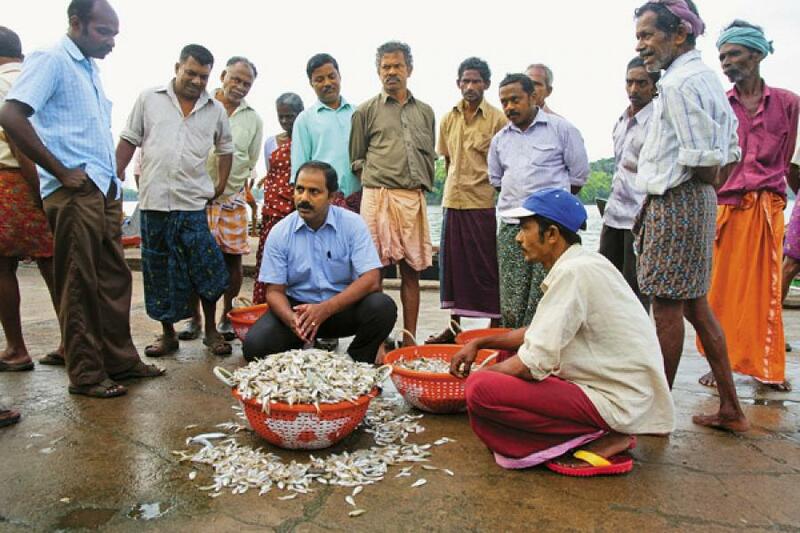 Joseph, a 45-year-old Kochi-based entrepreneur, set up Seatohome.com , an online fresh fish retailing venture, operating currently in Kochi, Thiruvananthapuram and Delhi. Its model is similar to any other e-commerce venture. Customers place orders online from a menu on Seatohome’s website. If the order is placed before 3 pm, the company home-delivers it by the next evening. If it is placed later, the fish will be at a customer’s doorstep in 48 hours. Joseph sources the fish from all along the Kerala coast. Avoiding the big boats which are out at sea for one to two weeks, he buys it from local fishermen, who cast off in the wee hours and are back by afternoon. Their catch is more expensive but absolutely fresh. Seatohome packages the fish immediately in ice-filled thermocol boxes and dispatches them on commercial flights. In Delhi, a logistics operator does the last-mile delivery. In Kochi and Thiruvananthapuram, the company handles distribution on its own. There are many ways to keep fish and other marine catch close to freshness. Refrigeration is the best option. However, that is expensive and viable only in large quantities. The other, more common, way is to treat fish with chemicals such as ammonia or formalin, a medical preservative solution of formaldehyde and water, to lengthen the shelf life. In 2010, researchers at Bangladesh Agriculture University studied rohu, a popular river fish that is native to river systems in Bangladesh, Pakistan, India and Myanmar, and found that fish treated with formalin were poor to eat and difficult to digest due to denaturation of muscular protein. Joseph says Seatohome does not treat fish with anything but ice, which increases the weight of consignments. It also increases risk because he relies on commercial airlines and flight delays could affect the quality of the product. It also limits the load capacity. For instance, when he sends fish to the international market, the amount of product that he can load varies every day depending on the cargo the airline is carrying. That means he runs the risk of under-delivering on quantity. 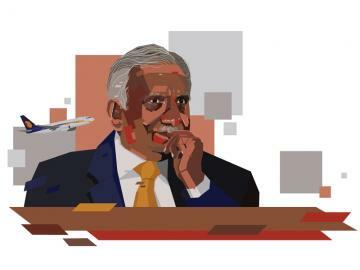 Until a few months ago, Joseph’s company Atelier Exports’ main business was exporting fresh fish to the UAE market, a first in Kerala when he began 12 years ago. He also exports frozen products, predominantly prawns, worth about Rs 50 crore, for commission. The fresh fish are purchased by regular customers in Dubai who are suppliers to large supermarkets such as Carrefour. Atelier also supplies to some of the supermarkets in its home state. Joseph’s focus on quality has earned him dedicated customers. “I can trace back every fish I sell to the exact boat that caught it,” Joseph says. That is because the batches are tagged while procuring. For instance, Joseph buys the widely popular seer fish, or Indo-Pacific king mackerel, at around Rs 450-600 per kg from the Kerala coast. Pakistani exporters sell the same fish in the Dubai market for about Rs 350-400 per kg. That gave him an idea. Why not import fish from Pakistan into the Indian market? He even had initial talks with a Pakistani exporter. But the Indian import tariff structure nipped the idea in the bud. The landed cost of fish imported from Pakistan or any other country would work out to more than the cost of acquiring it locally. At the same time, Joseph found that Indians were willing to pay for convenience and quality. “A large retailer whom I sold seer fish to at Rs 550 per kg was selling the same fish to customers at Rs 760 the very next day,” he says. “Fish has to be eaten fresh. Frozen doesn’t taste the same,” says Anjan Chatterjee, founder of restaurant chain Speciality Restaurants. His restaurants in major Indian cities serve fresh hilsa (locally known as ilish), a Bengali favourite. Those caught in the Padma-Meghna delta are considered the best. Speciality buys its fish from a single vendor every other day in Kolkata, packs it in thermocol boxes with dry ice and flies it to the other cities where it operates the same day. The distinct taste of seer fish, for instance, comes from collagen found in its layered meat. Collagen levels in the fish depend on the method of preservation and decrease with time, often resulting in a rubbery texture. That is why fish tastes best when eaten fresh. Selling fresh fish online sounds like a great retail opportunity, but it will be a different ball game once the demand increases. Since his international customers are sticky and purchase in bulk, Joseph has been able to predict the quantity of fish he needs to source every day, a crucial factor because of the highly perishable nature of his commodity. The logistics could become tricky once the business expands to multiple cities. Retail customers need different quantities and the daily requirement can vary widely, which means each order will have to be packaged differently. Joseph says he would break even in the Delhi market if he dispatches even 100 kg every day. But commercial flights have limited capacity and ensuring quality and on-time delivery in multiple cities could turn out to be a nightmare. He acknowledges that packaging could also be a problem if the quantity rises too much. Seatohome has solved the airline capacity problem by negotiating guaranteed space on flights. It is likely to be tested soon in the winter months when demand for meat and fish increases in Delhi and fog plays havoc with flight schedules. I live in Delhi. I am really excited about this new venture. Please forward me your item list as well as the price of each item per kg. I really want to be your customer, so are many of my friends who have not heard about this new business. There is no such thing as FRESH fish. From the catch to the kitchen lot of time gap.